Home :: 7" Vinyl :: Warm Needles / Costanza - Split 7"
Warm Needles / Costanza - Split 7"
Two bands playing different styles of punk, pop punk, and more straight-ahead punk and both come out as winners. 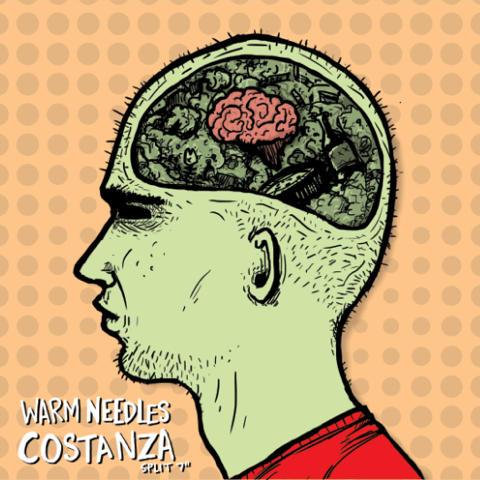 Warm Needles play peppy, bouncy pop punk that gets your toes tapping and Costanza get a little rougher around the edges and serve up two hard-hitting punk tracks. Both bands are catchy, play with energy, and these tunes donâ€™t come off as throwaway songs.